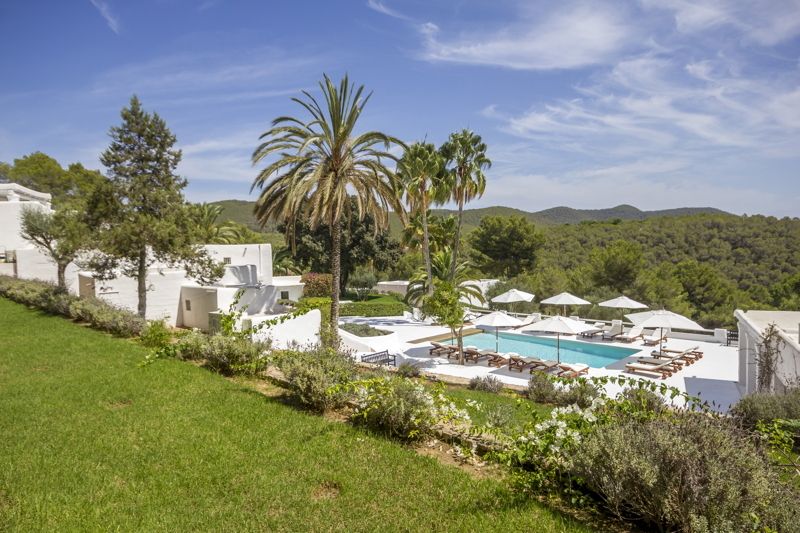 than five minutes from San José town and Es Cubells, this large luxury estate provides everything you need for an indulgent stay. 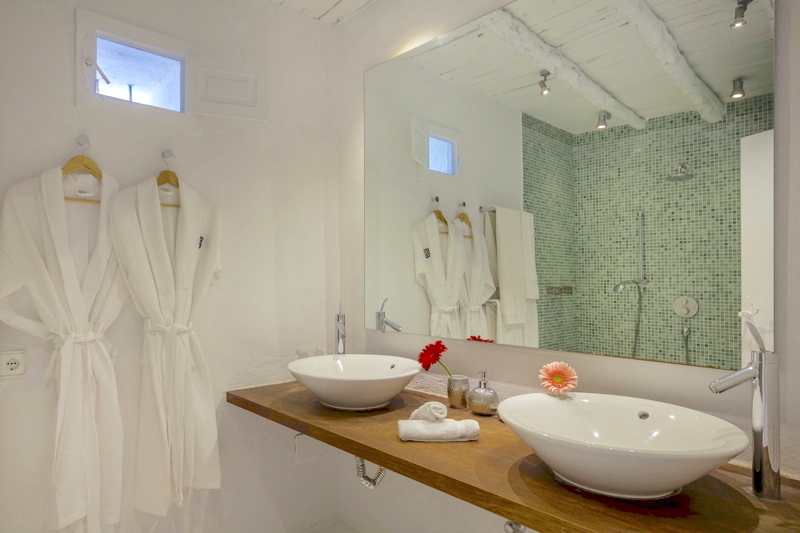 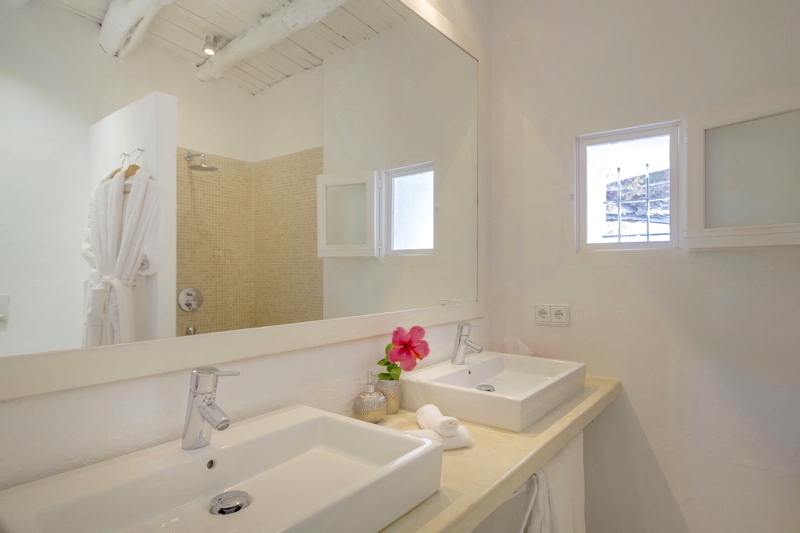 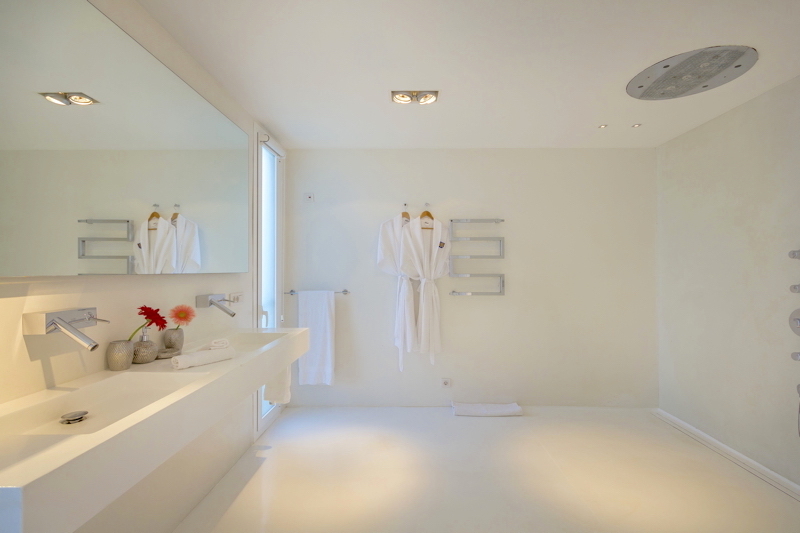 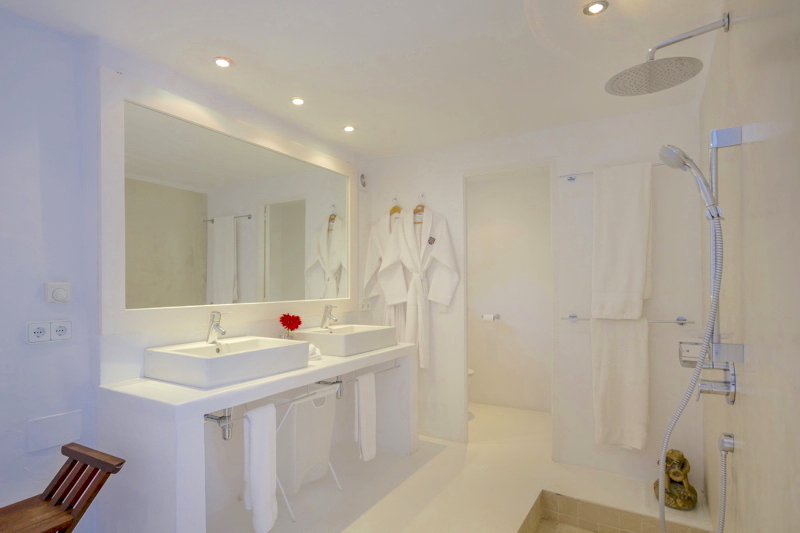 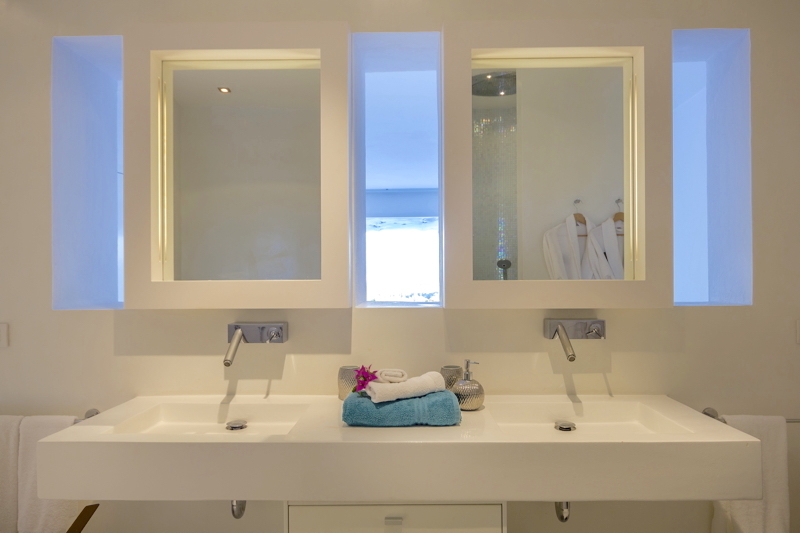 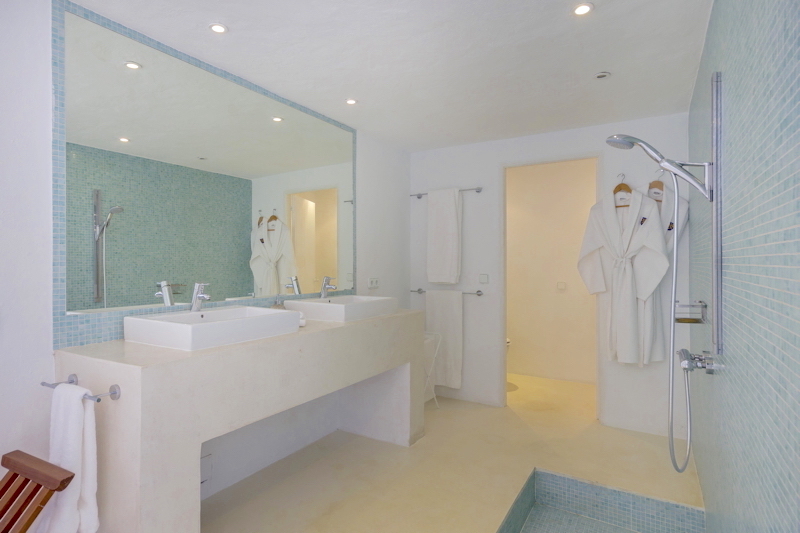 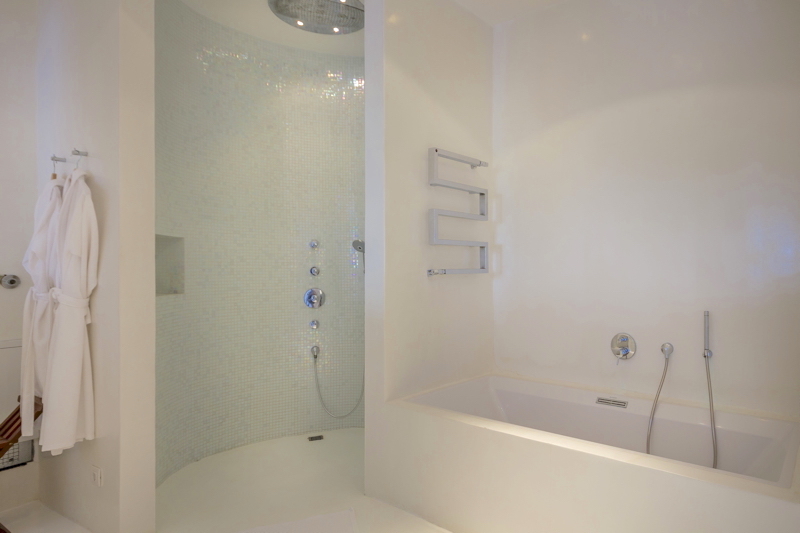 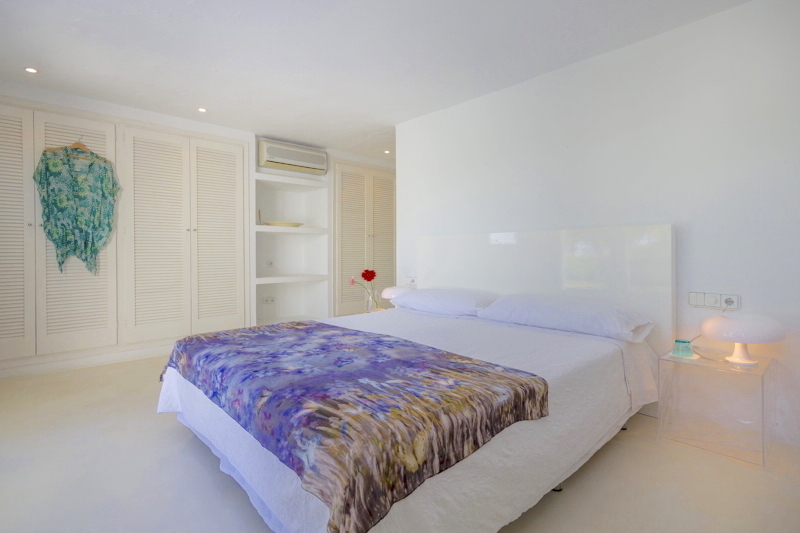 The main house has 7 bedrooms all ensuite and there are a further 3 bedrooms in guest houses. 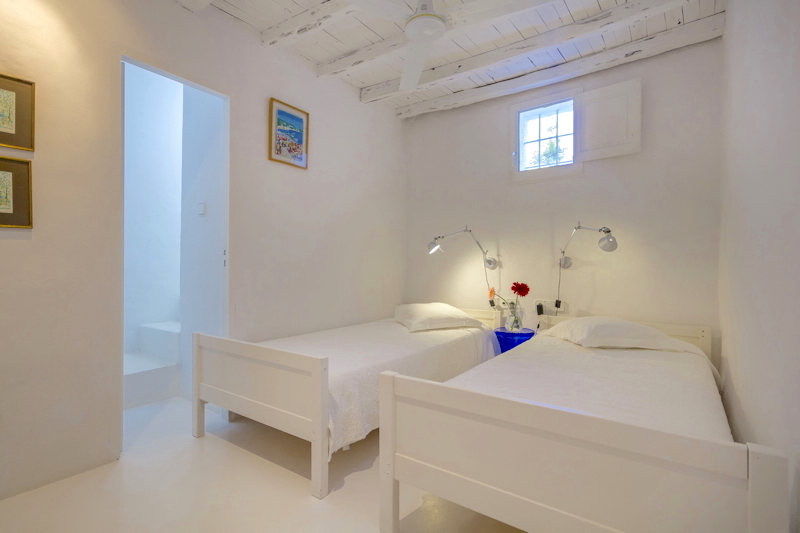 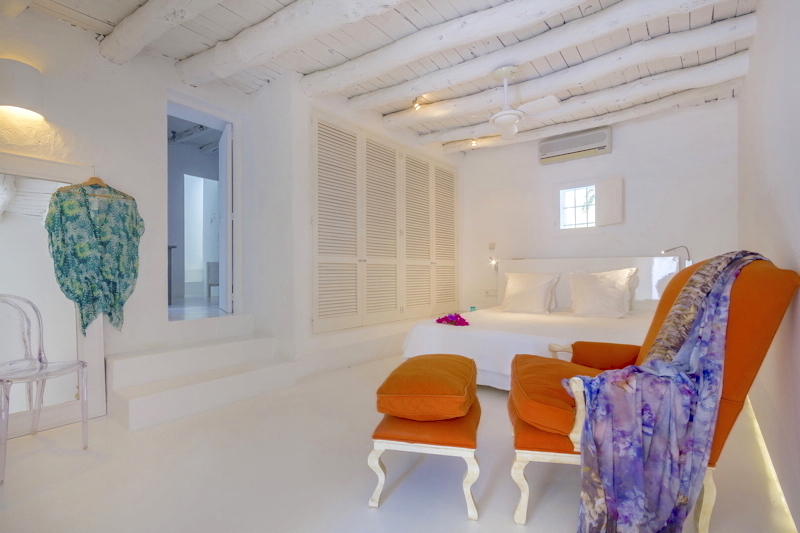 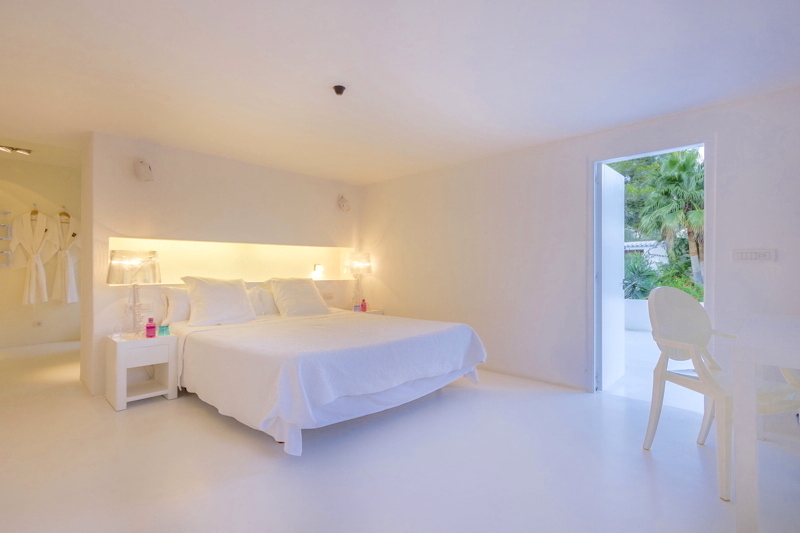 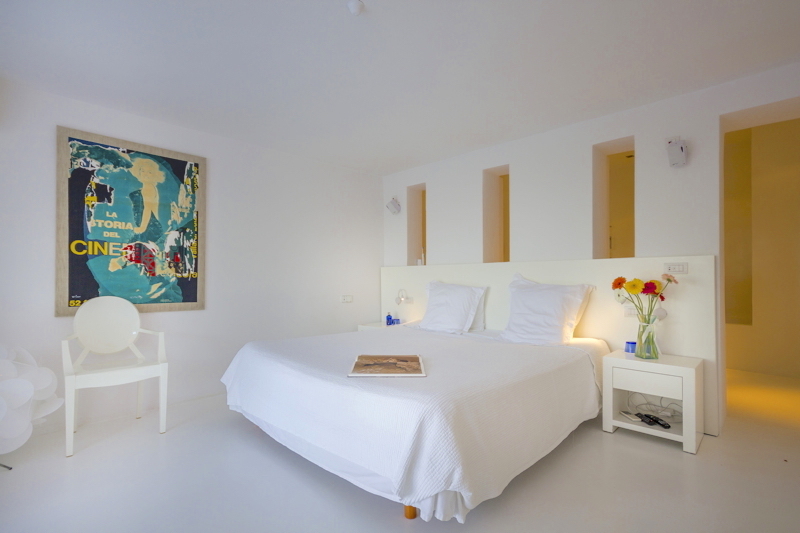 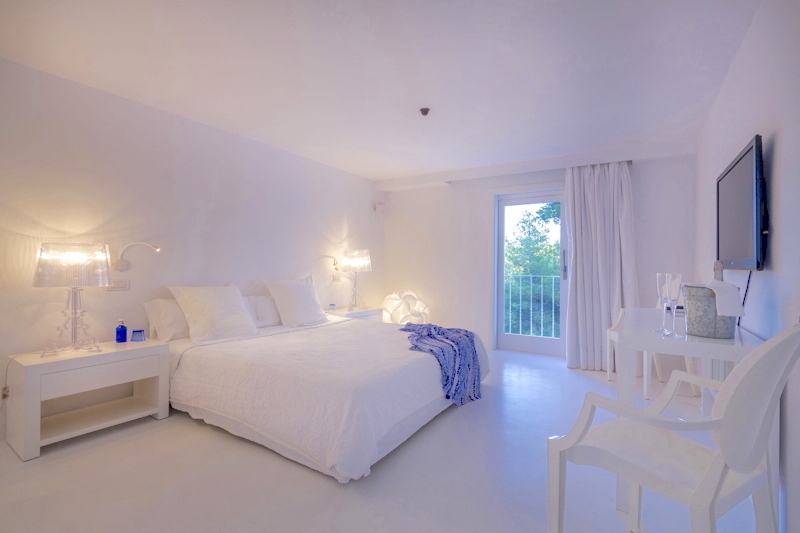 The bright interiors have vintage 1950s furniture and framed photographs of the ocean. 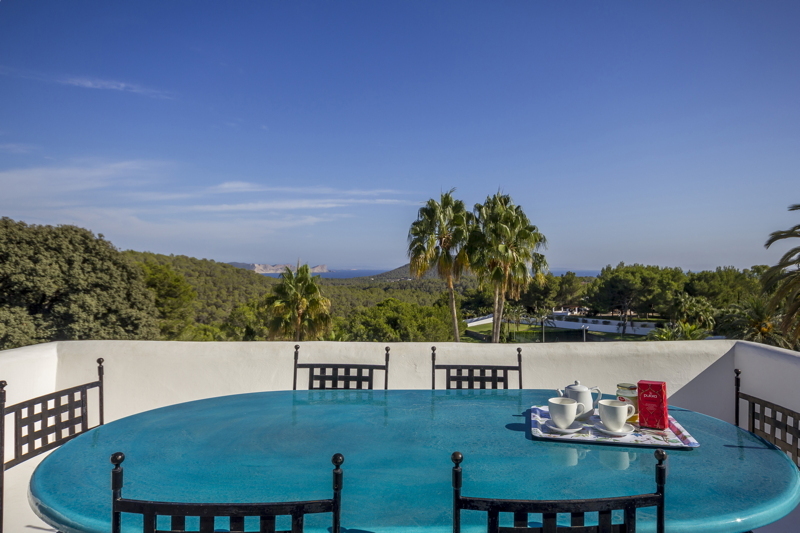 The layout of the terraces is stunning and provide multiple areas for relaxing sunbathing and dining. 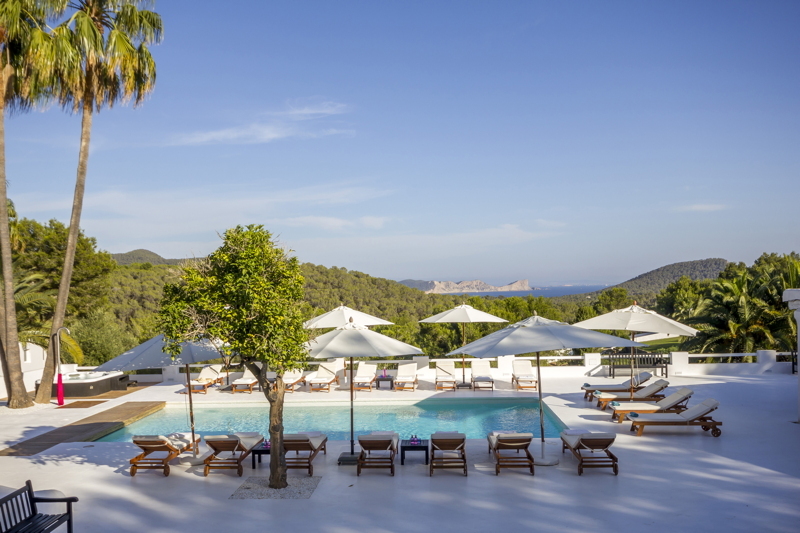 There is a large eating terrace with seating for twenty four people and an expansive pool Terrace with sun beds and sun umbrellas. 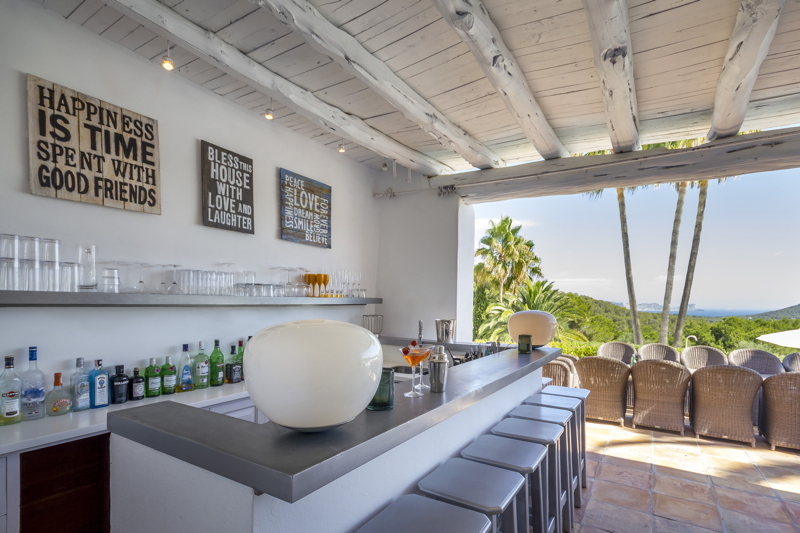 The outdoor lounge and bar have sea views and can accommodate a larger group. 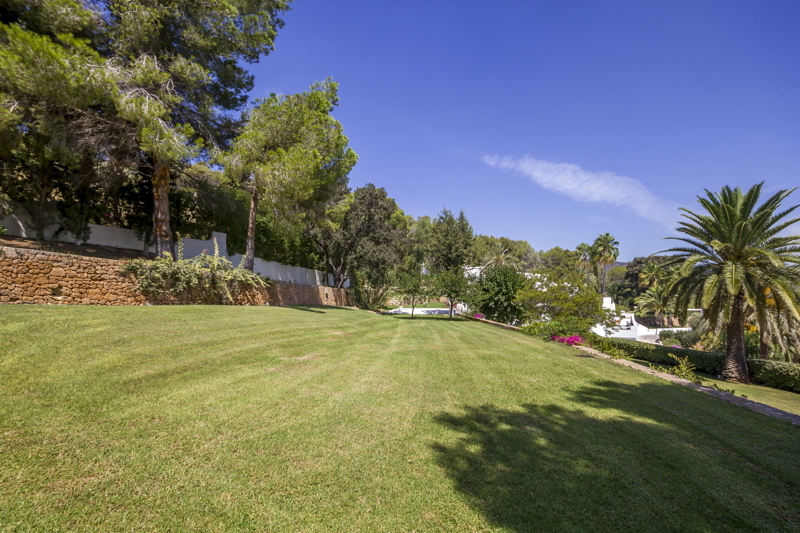 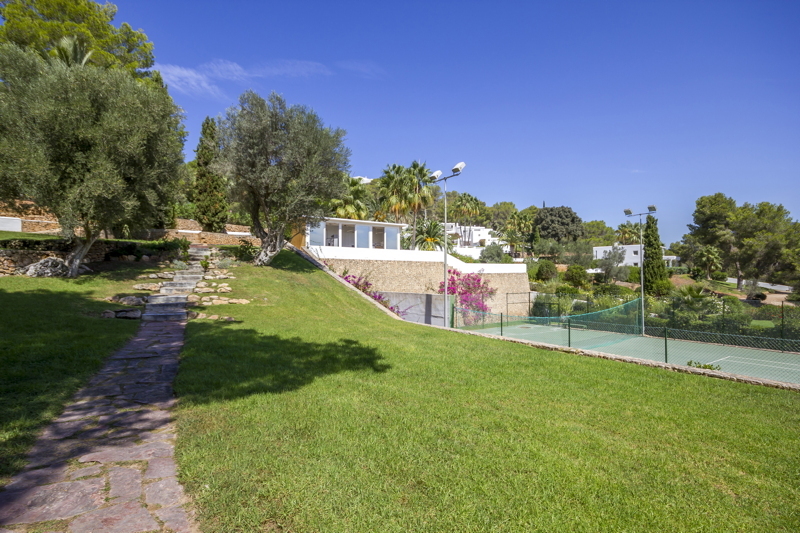 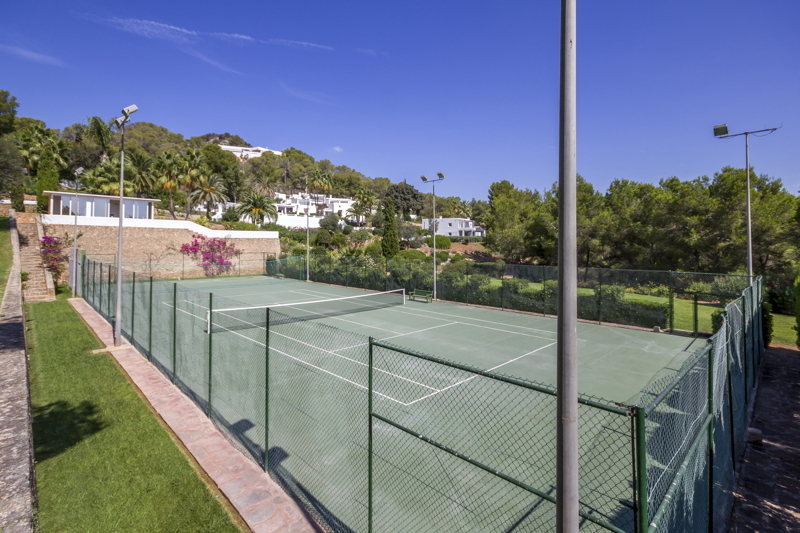 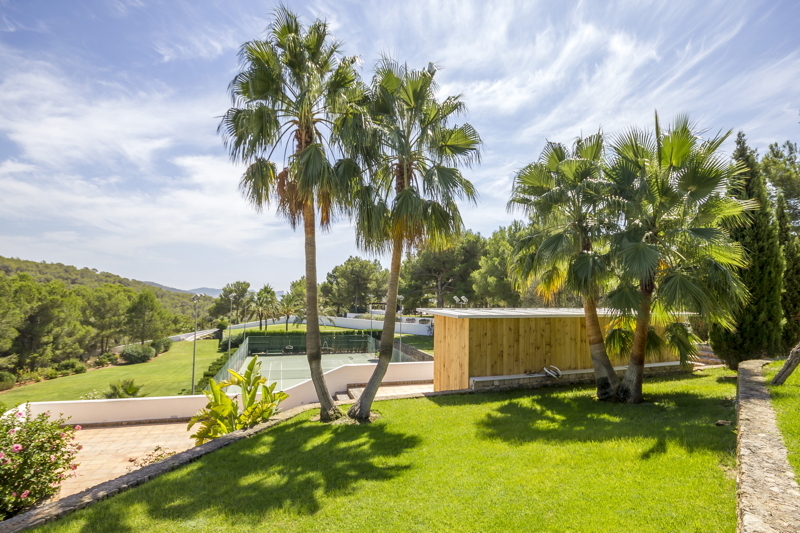 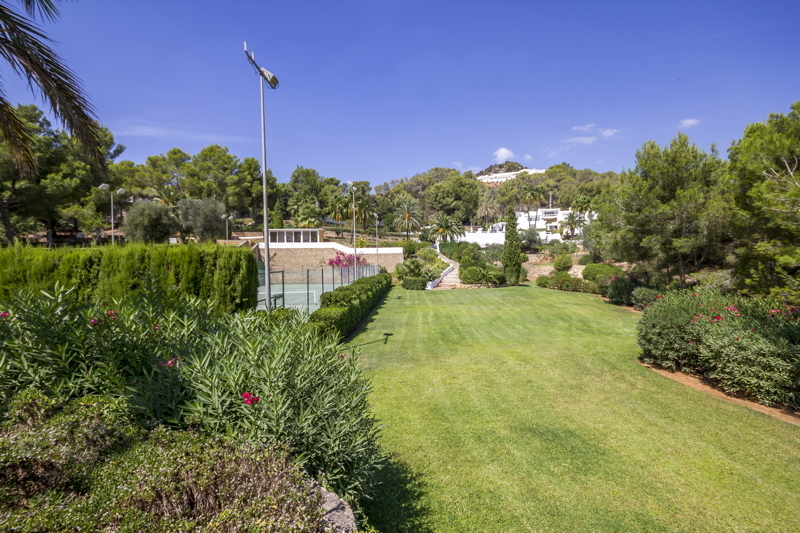 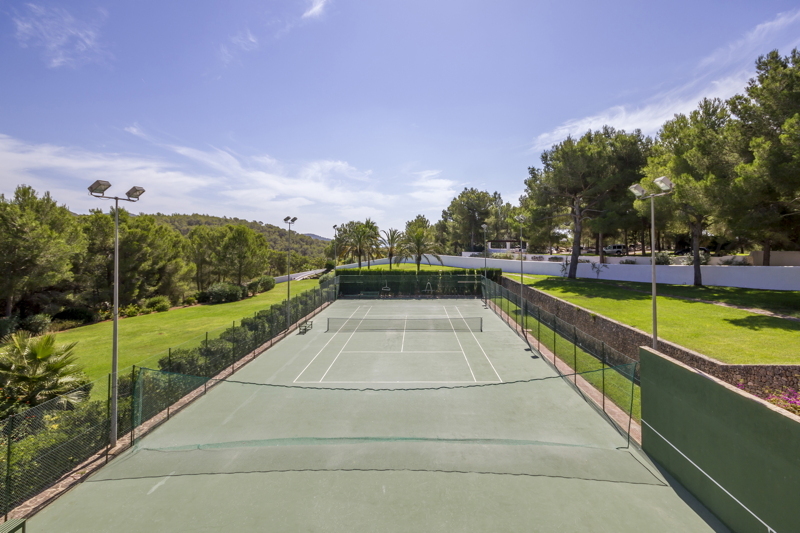 The property has a wonderful tennis court and it also has a boule court so there is plenty to do here. 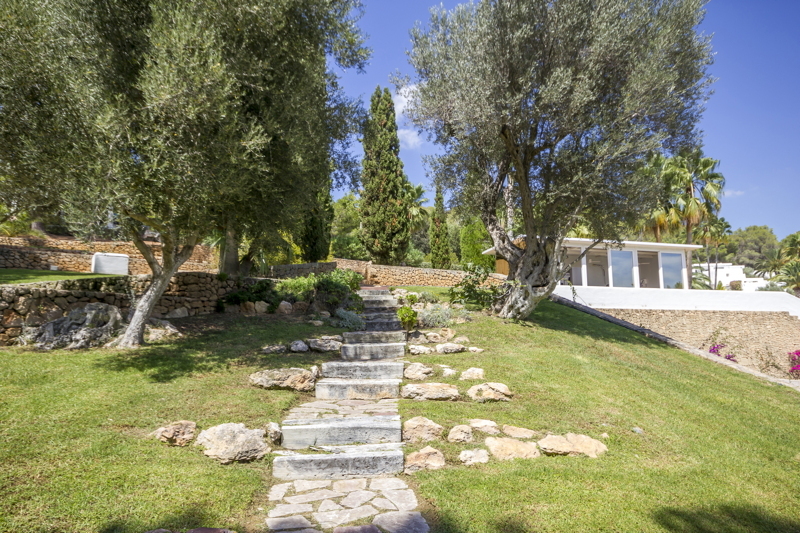 The grounds surrounded by a stone wall and they are gated and alarmed. 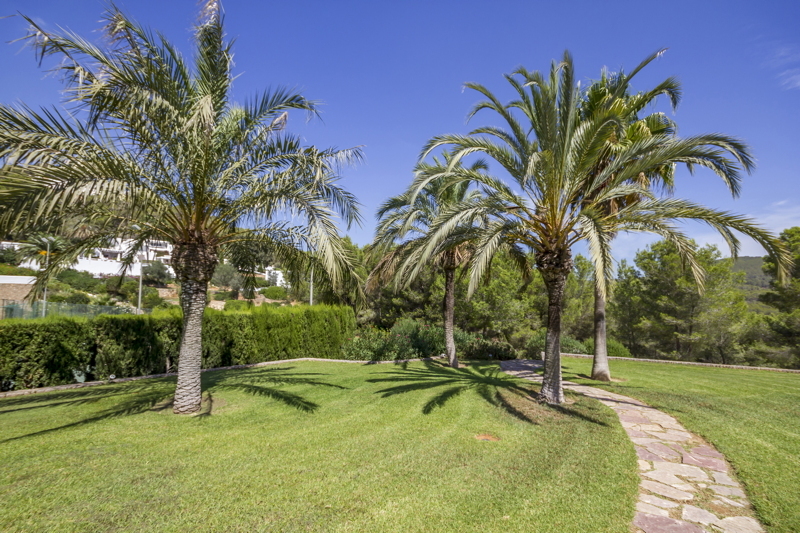 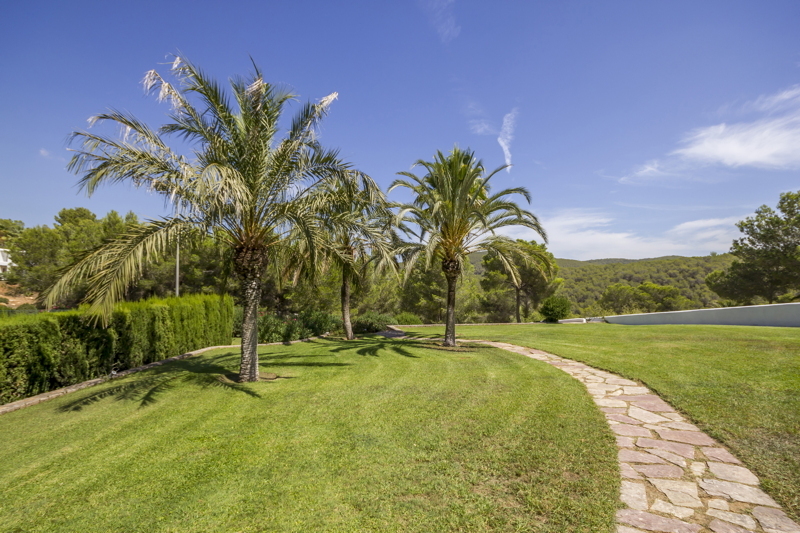 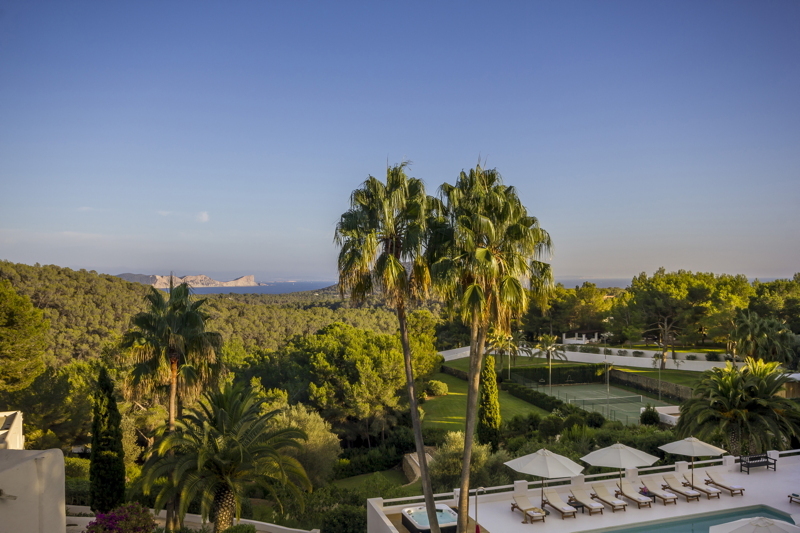 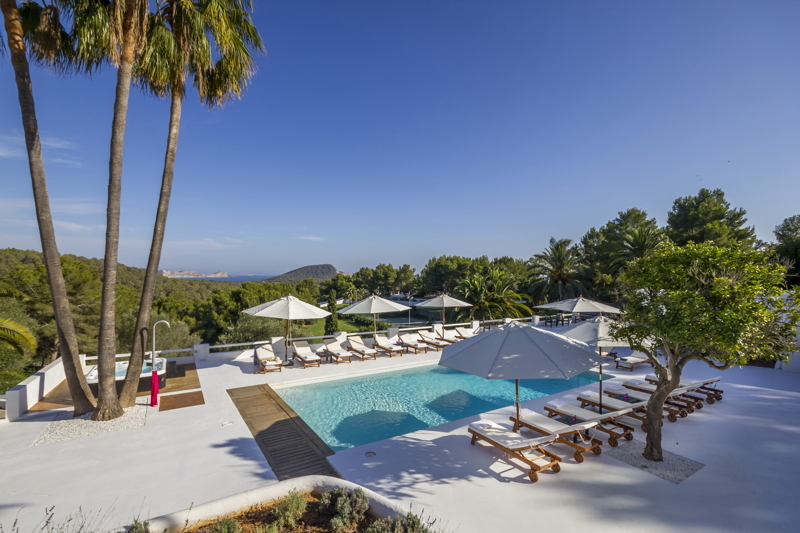 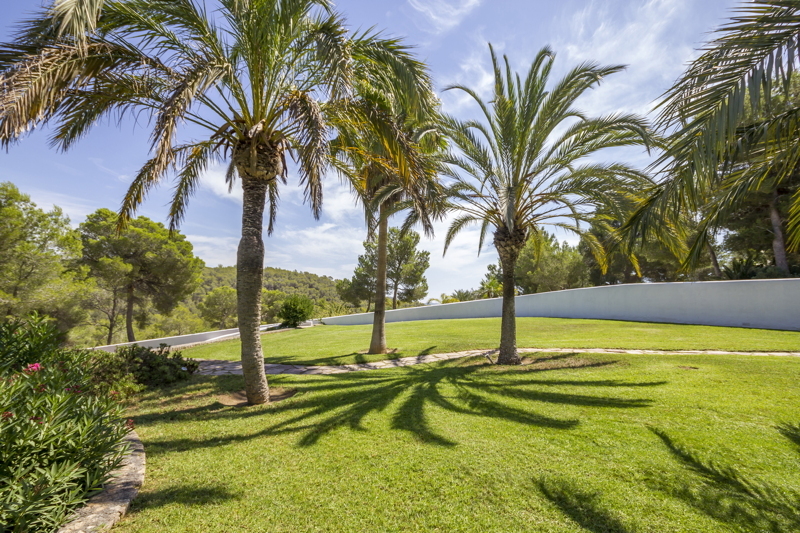 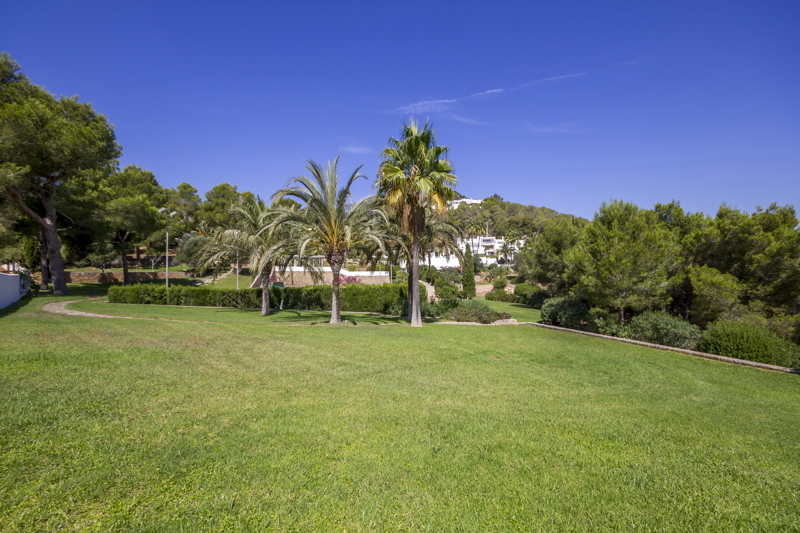 There are many beaches close by to this property including the Blue Marlin the Tropicana and Cala Jondal. 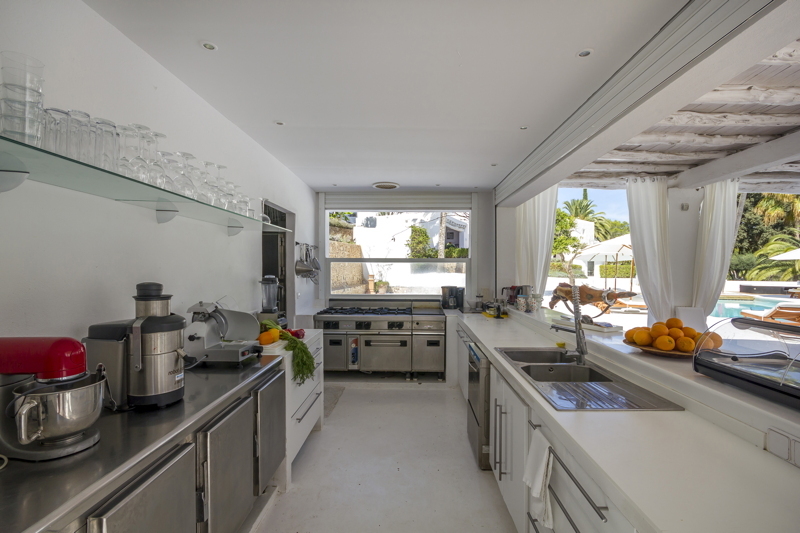 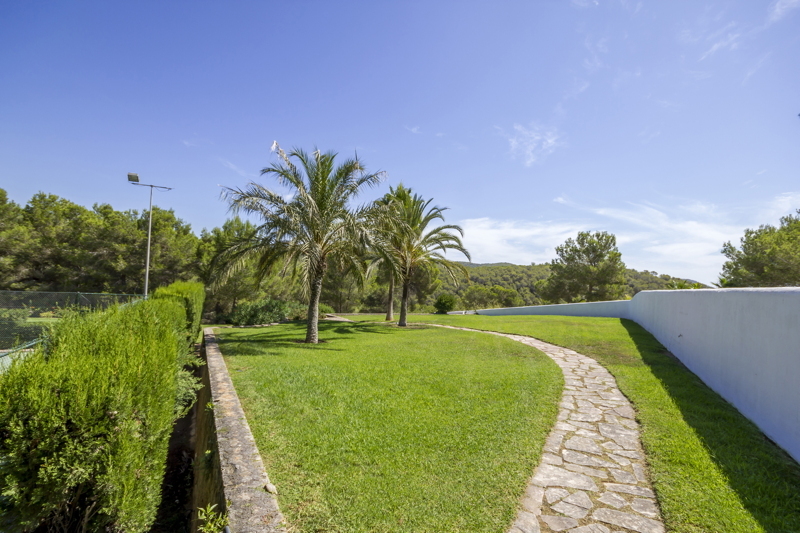 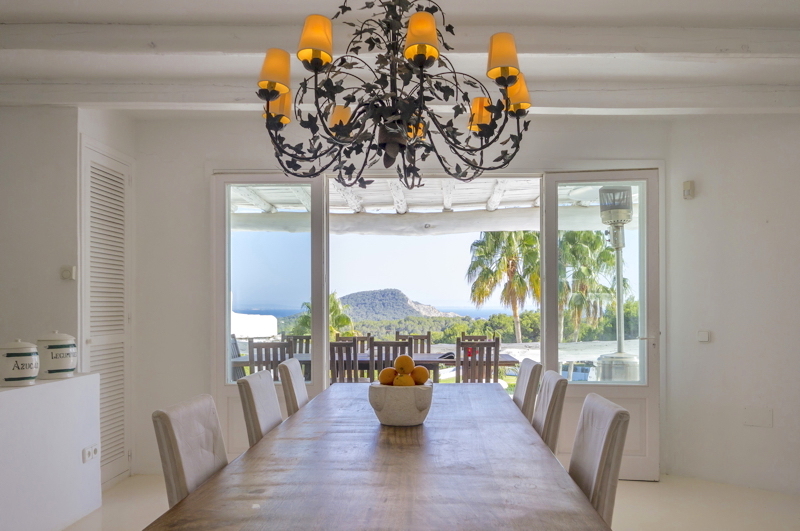 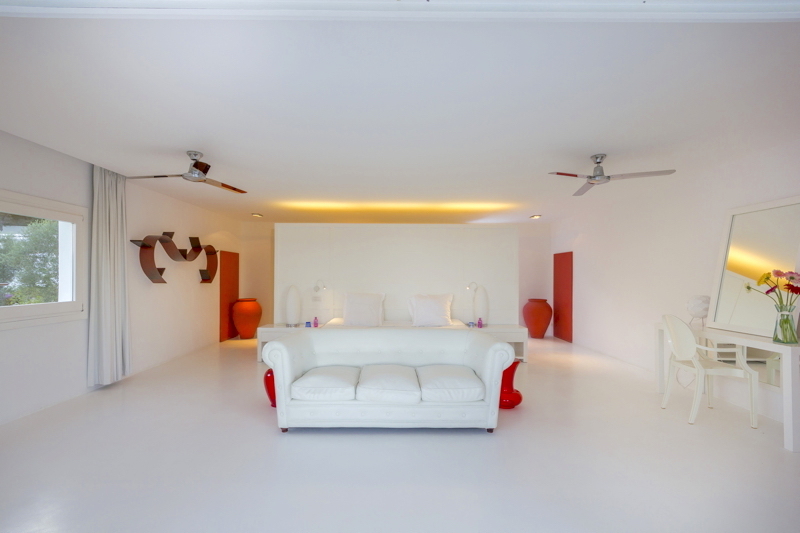 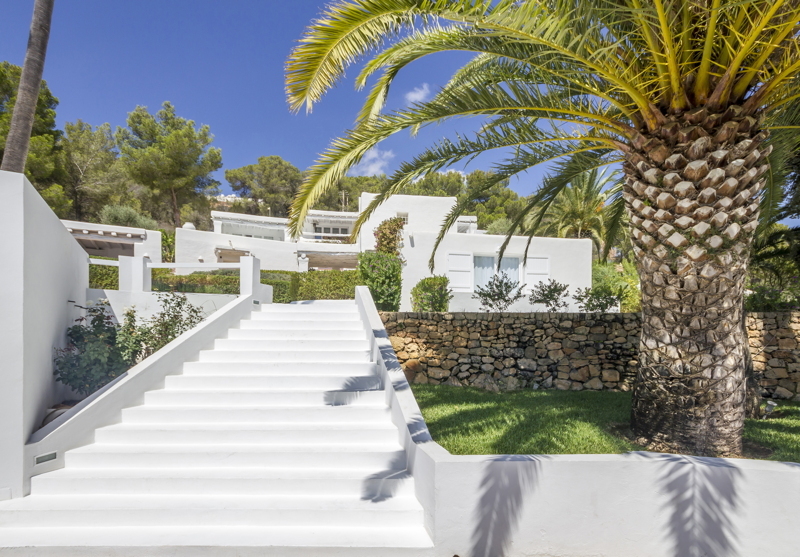 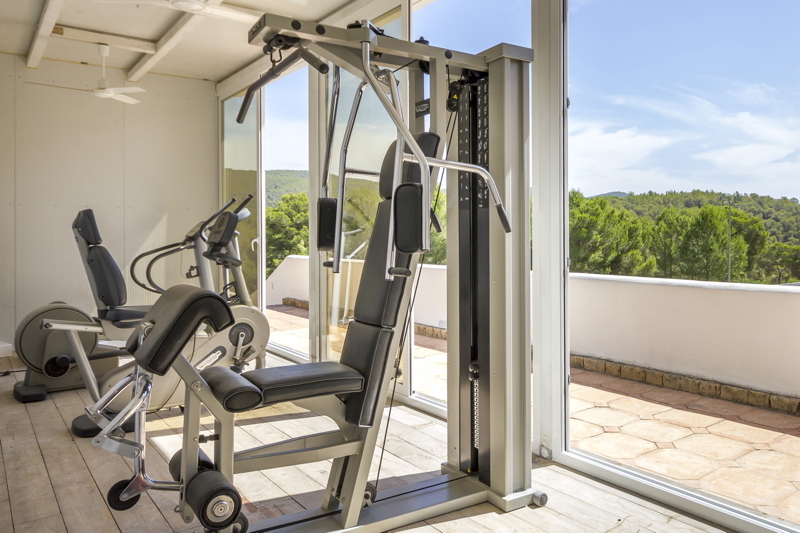 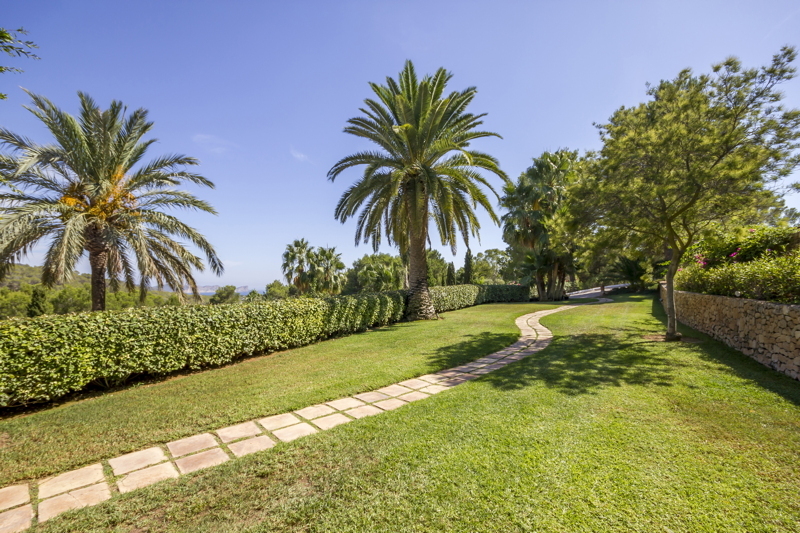 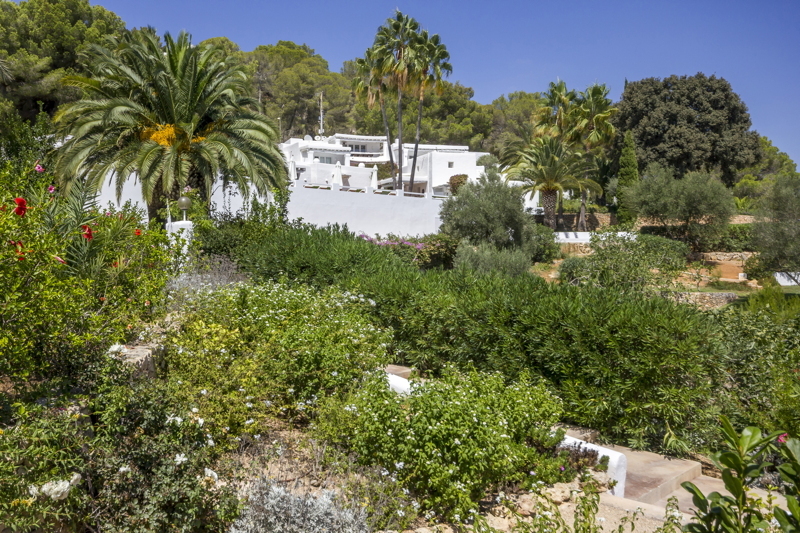 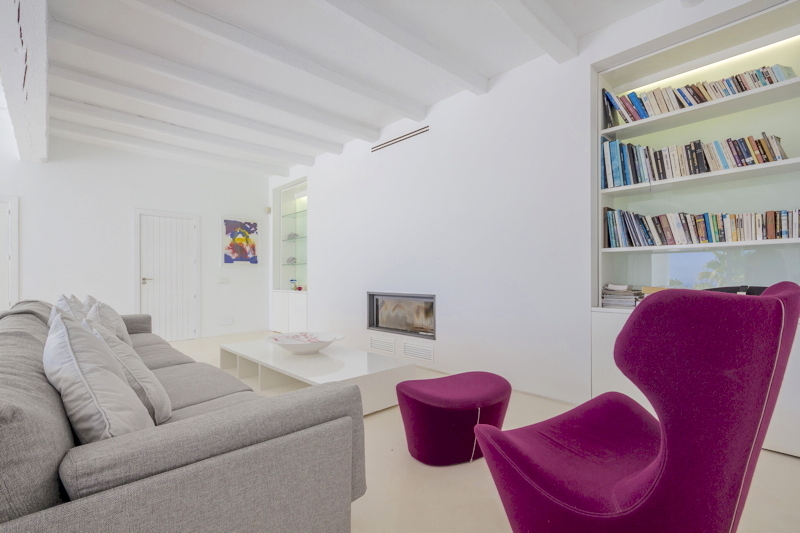 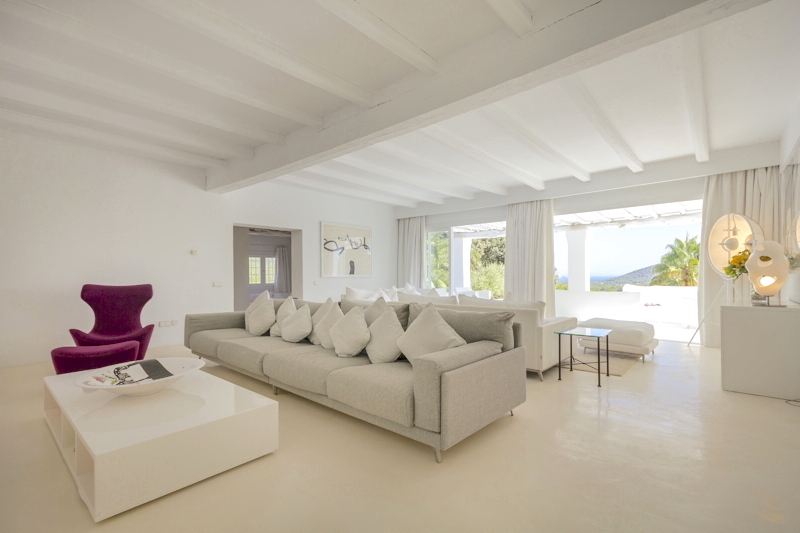 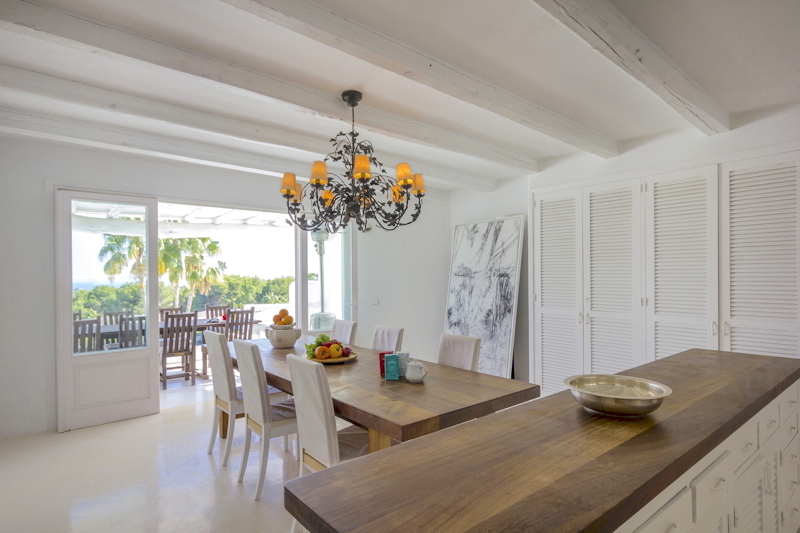 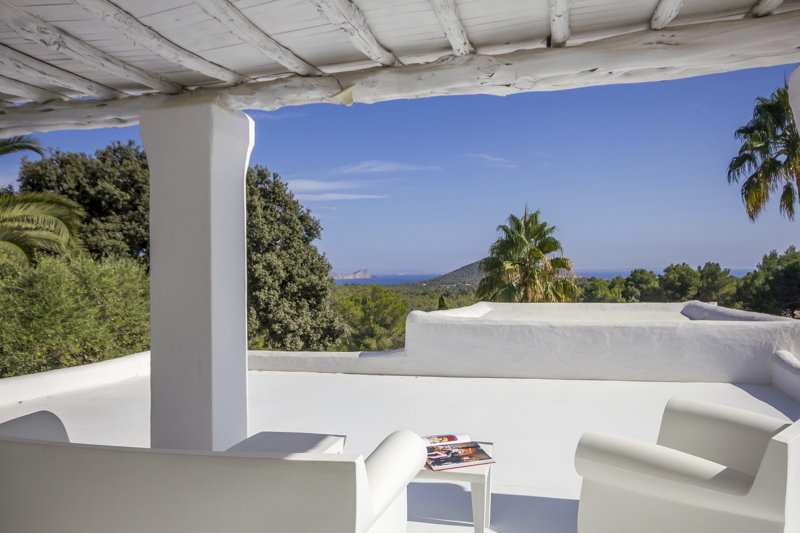 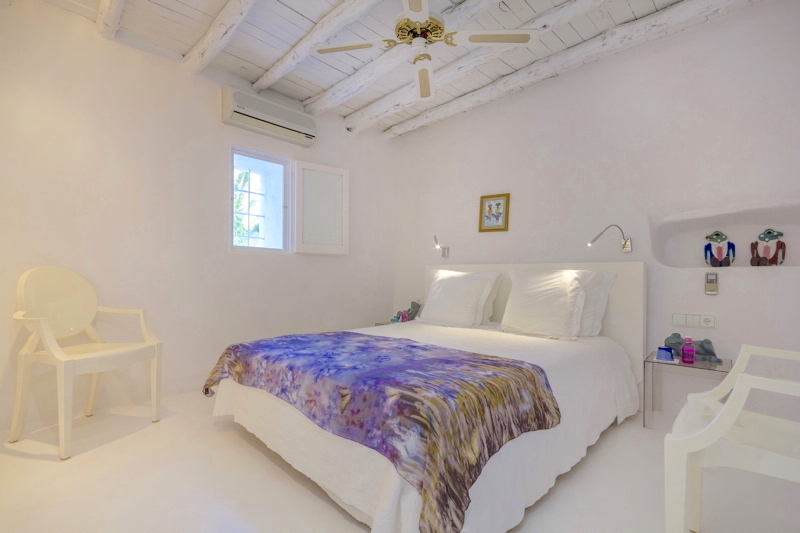 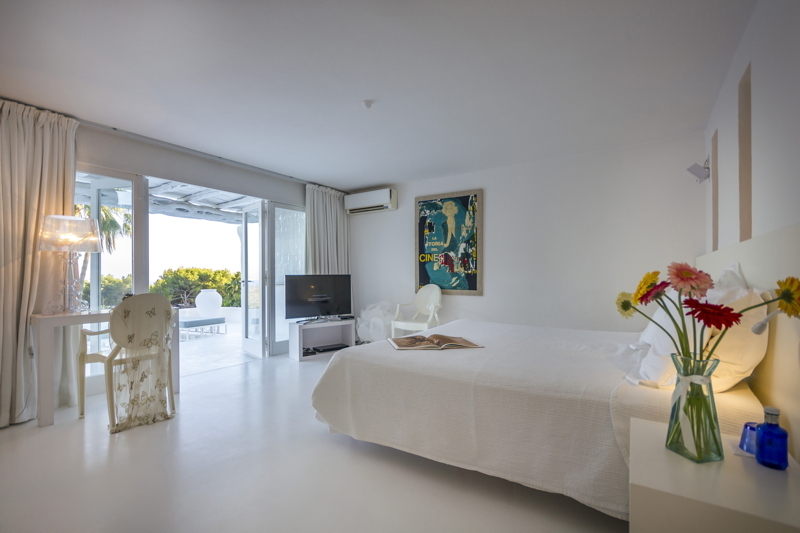 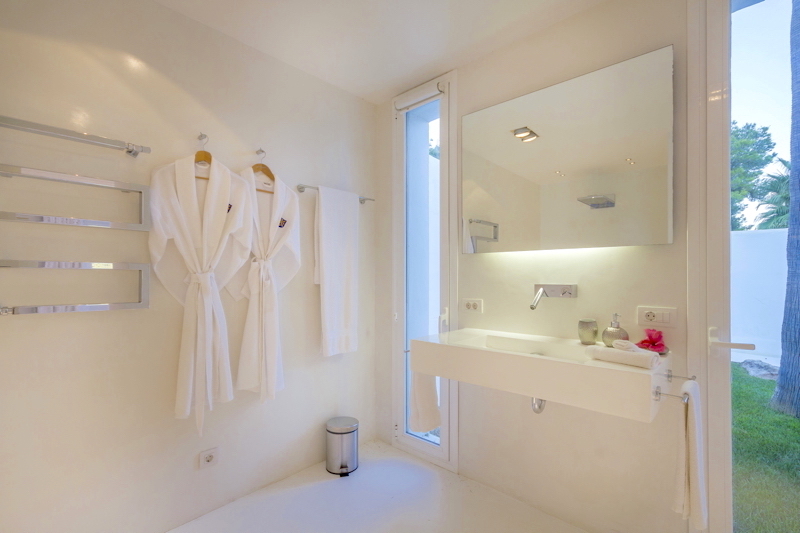 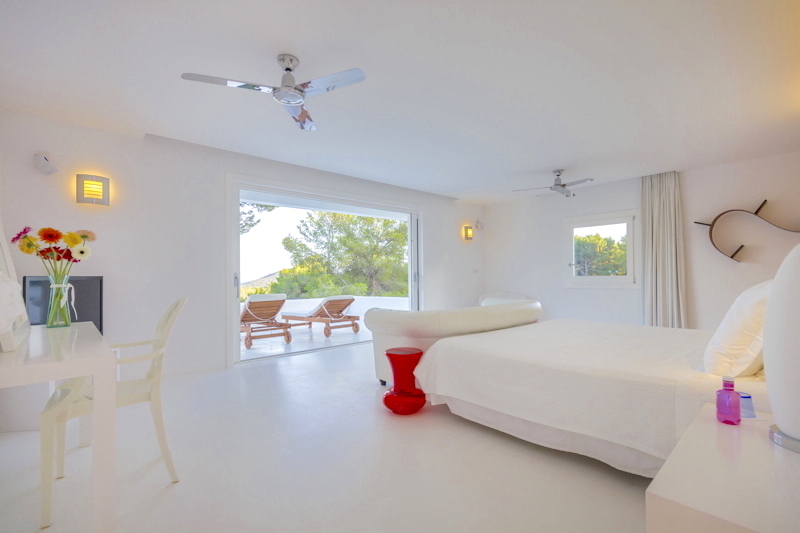 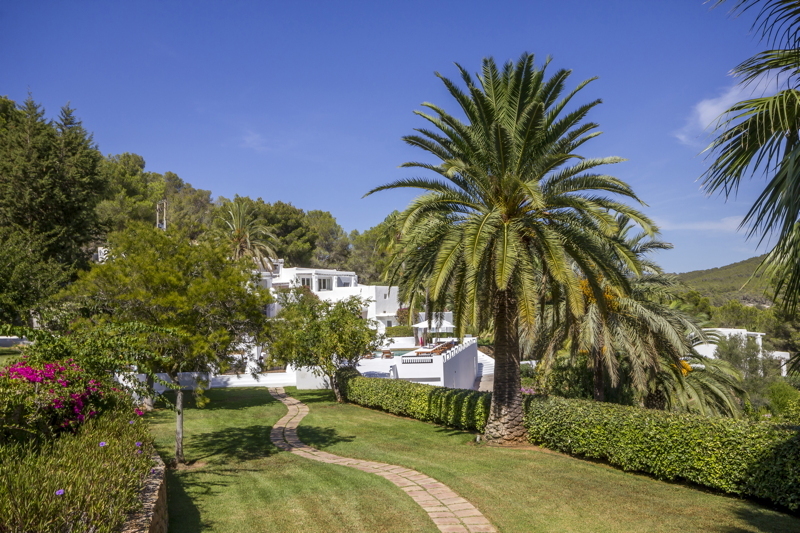 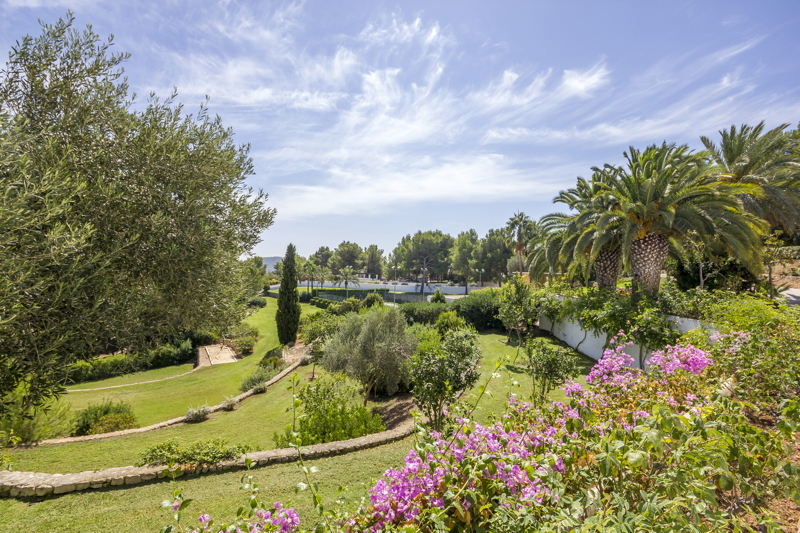 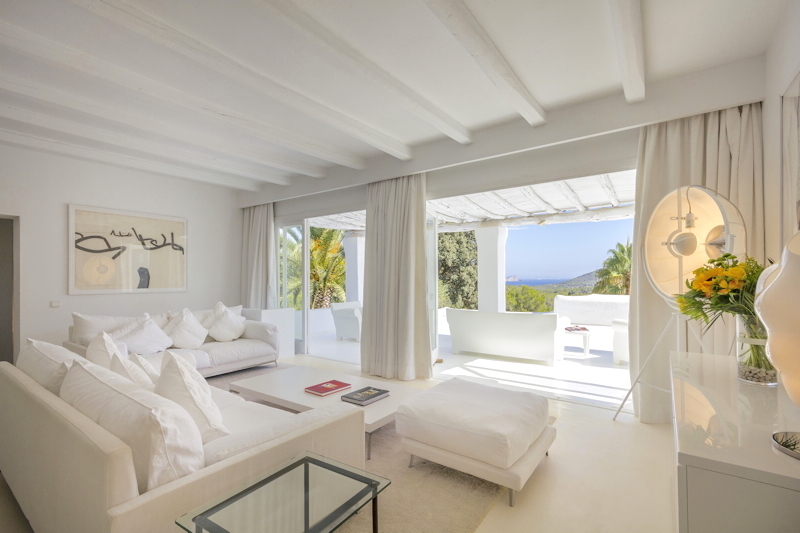 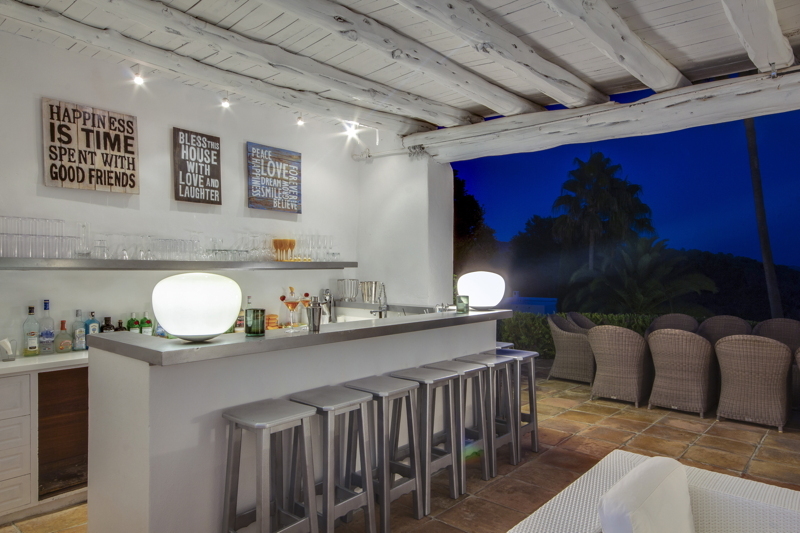 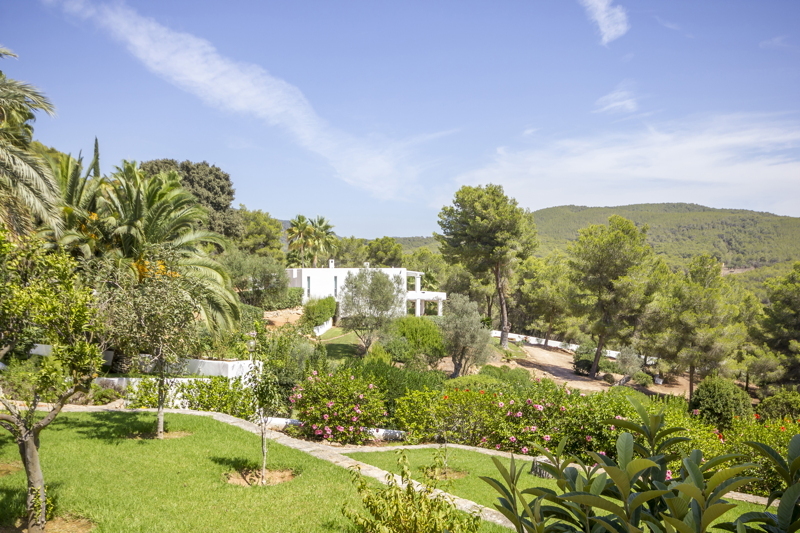 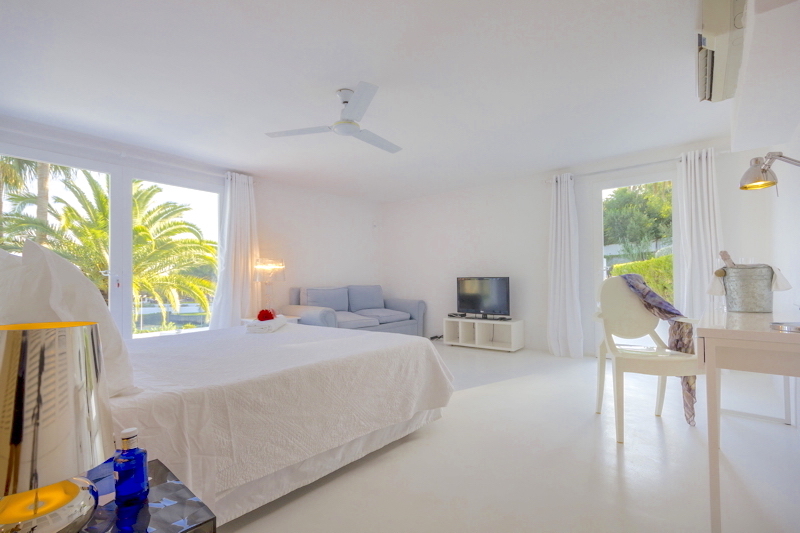 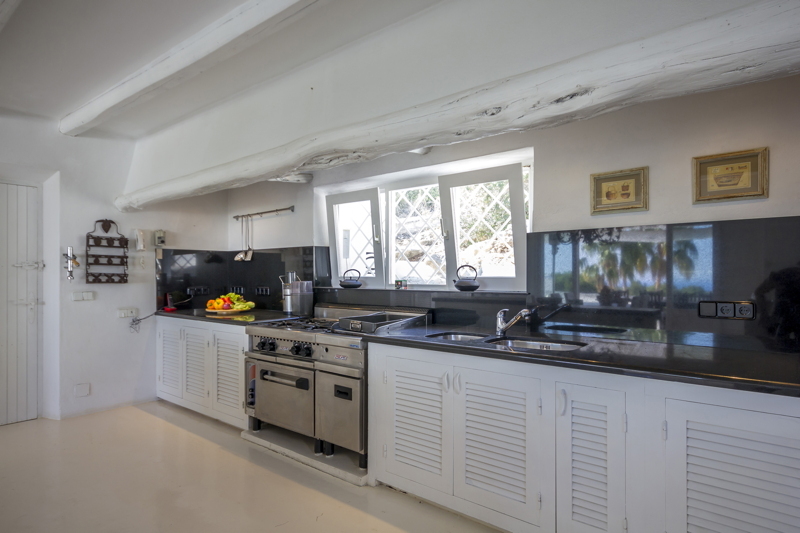 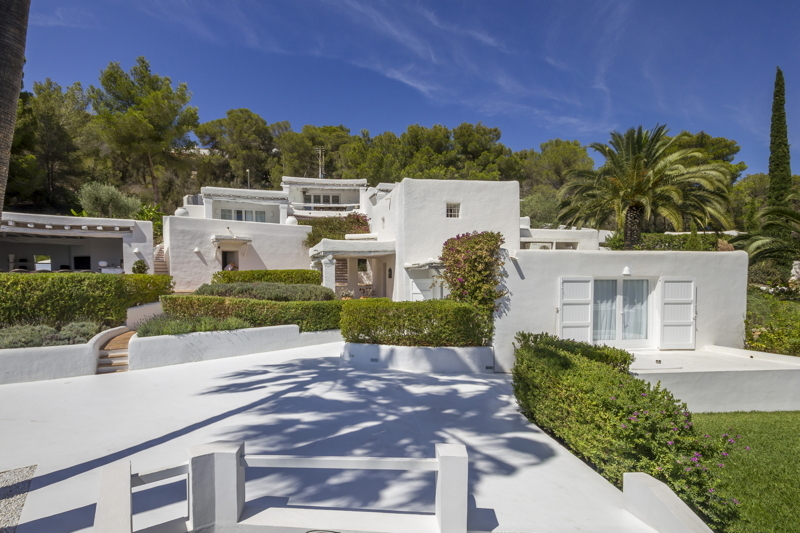 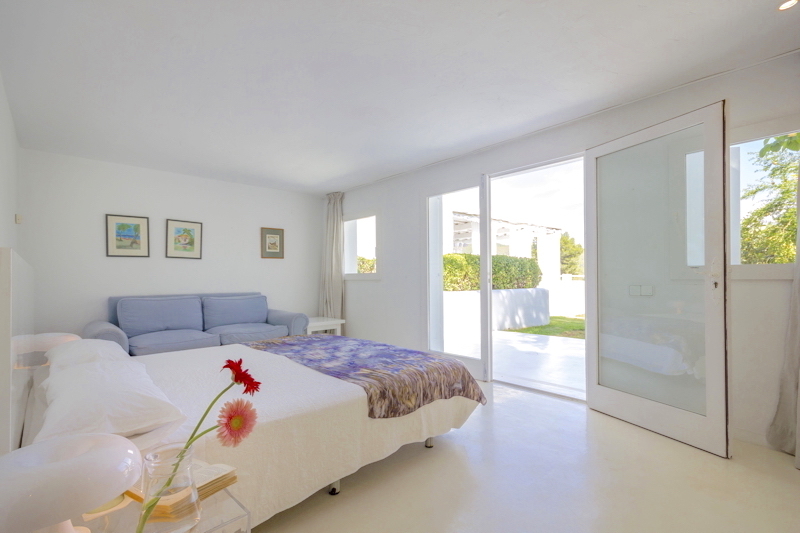 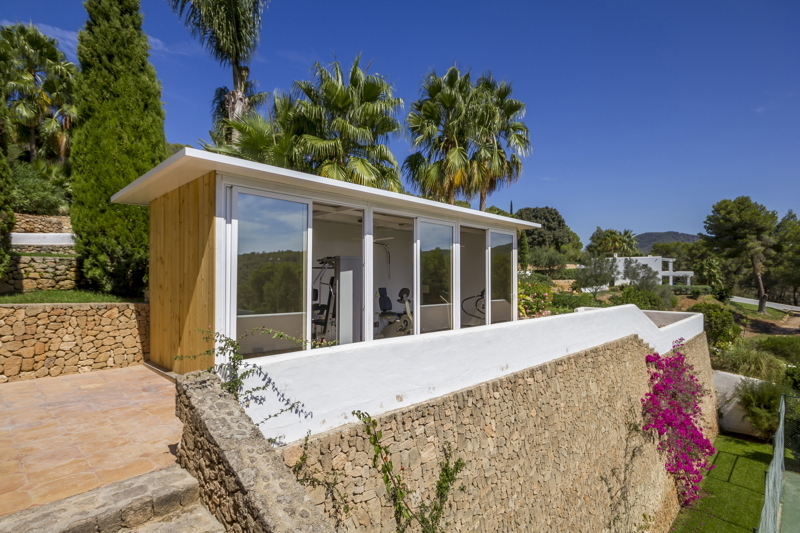 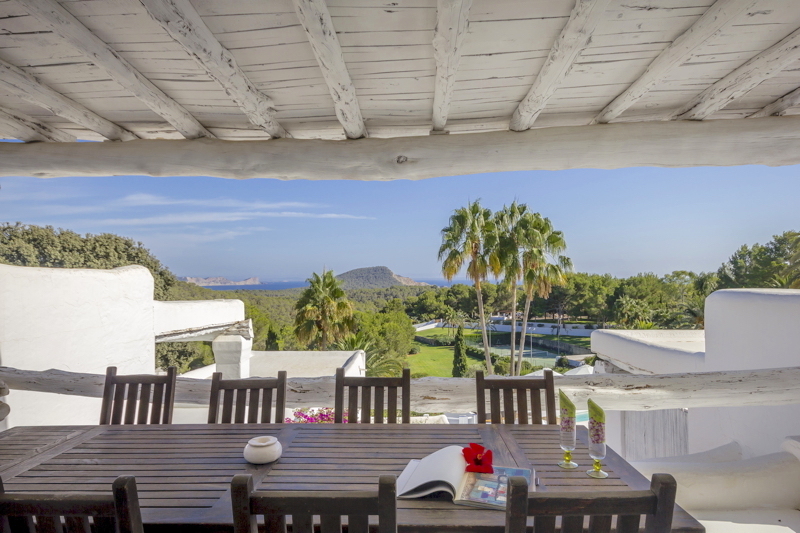 This property which has hosted some illustrious guests in the past is the perfect destination for a client wishing to be private and secure yet close to much of the local bars and restaurants and Ibiza town.